I offer practical tools for navigating conflict effectively. I act as a sensitive, intrepid, rigorous and non-dogmatic guide through difficult and confusing situations ranging from conflicts in the family or workplace, to community dialogue on divisive societal issues. I help people see possibility inside situations of conflict and find concrete ways of moving toward constructive resolution. My approach is informed by my expertise as a mediator and conflict analyst as well as decades of experience as a performing arts innovator. I offer you mental and physical tools to help shift your perspective and strengthen your ability to communicate productively in conflict situations in all areas of your life. My clients include teachers, executives, parents, artists, small business owners, social service groups, international dance companies, arts collectives, schools, at-risk youth, municipalities and universities. In collaboration with communities, governments and foundations in the U.S., Europe and the UK, I have designed and directed multiple large scale action dialogues on challenging topics ranging from immigration to violence. These events integrate simple physical action as an instrument to enable engaging and powerful exchange between participants. Changing the Conversation: The 17 Principles of Conflict Resolution offers individuals and groups clear and effective tools for moving beyond cycles of attack and counter-attack, turning conflict into an opportunity for positive change. 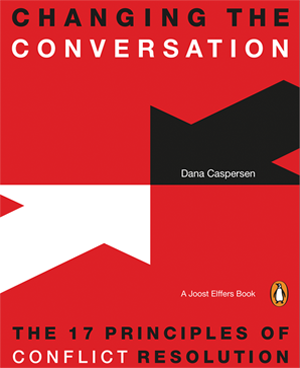 Dana Caspersen’s “Changing the Conversation” is an innovative look at conflict resolution that will be an eye-opener. 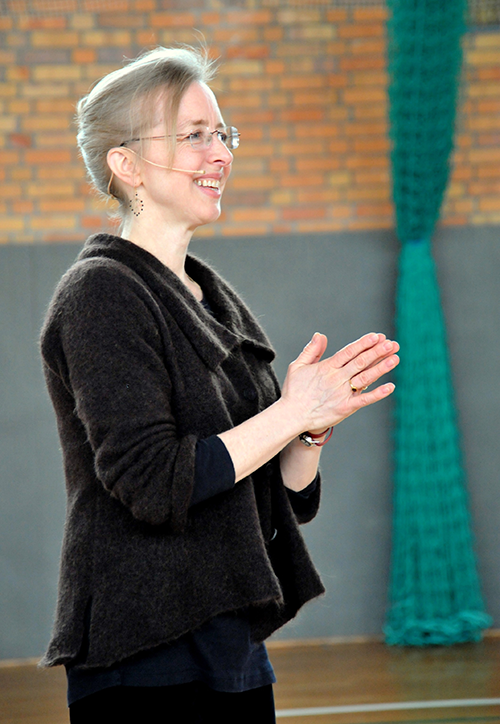 I have an MS in Conflict Studies and Mediation, an MFA in Dance and have received several international awards for creative achievement. My book Changing the Conversation: The 17 Principles of Conflict Resolution is being translated into 8 languages and is on required reading lists and professional development guides at institutions ranging from the University of Southern California and Boxhill Institute, to the design-led technology start-up, ROLI and the Dallas Law College. 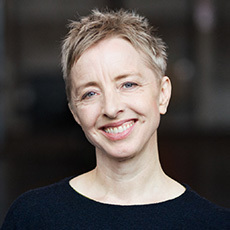 In 30 years as an award-winning performing artist, I have authored, performed and toured works worldwide— principally as a primary collaborator of choreographer William Forsythe and a member of the renowned ensembles Ballet Frankfurt and The Forsythe Company. This practice of developing agile physical and mental response strategies informs my work in conflict. It has shaped my understanding of conflict as vehicle for transformation and positive change.